Sometimes home is the best place to get married. A family venue holds emotional significance and is VERY budget friendly. 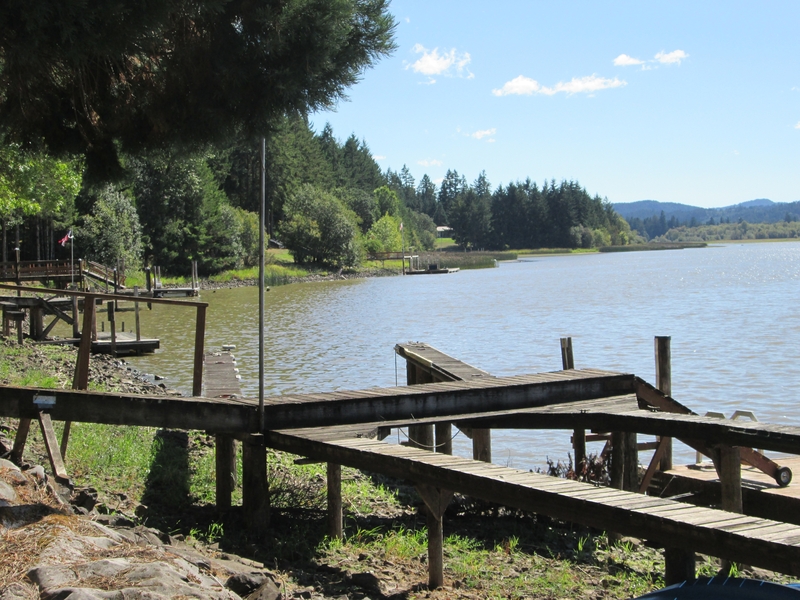 My friends, Justin and Jennifer, were married on her family’s property that sat lakeside on Fern Ridge Lake in Veneta, OR. The bride and groom wanted a very family-friendly wedding and even encouraged guests to bring their swimsuits in the wedding invitation! 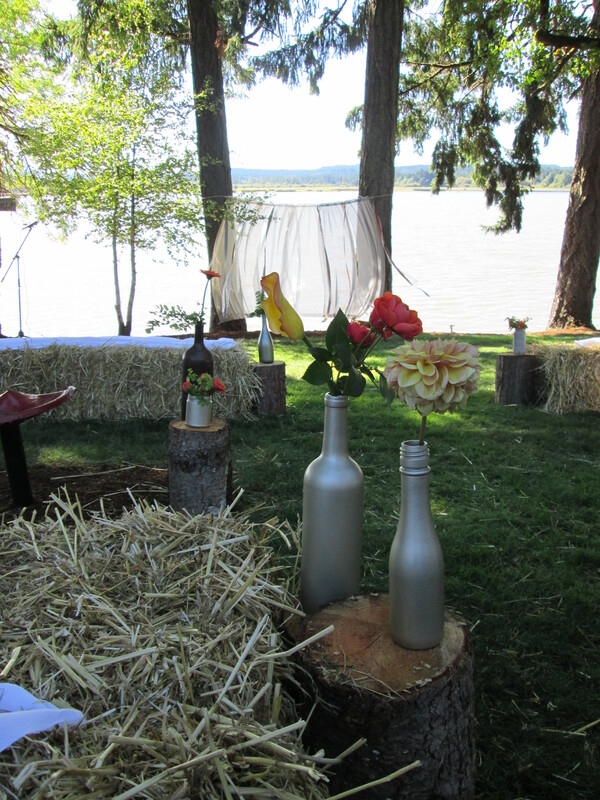 The ceremony area was created with hay bale seating and wood logs down the aisle that held vases of flowers. 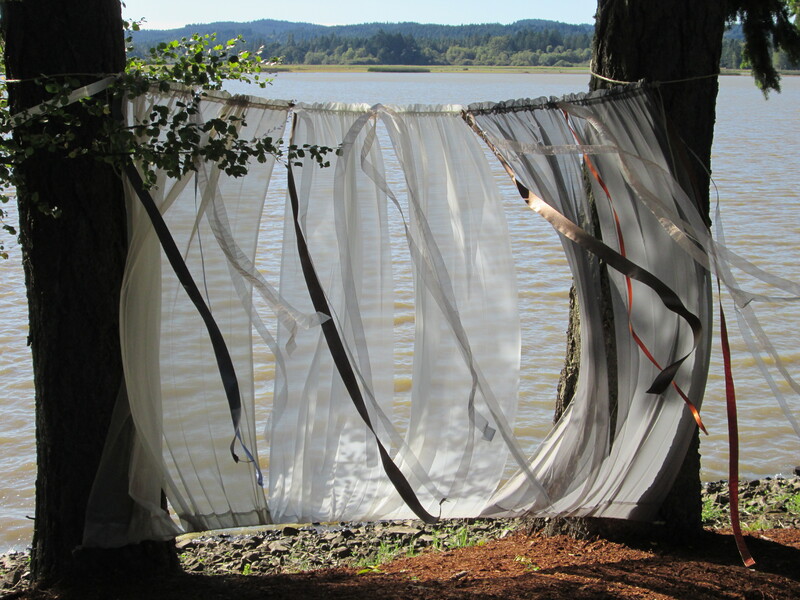 A beautiful focal point was made using ribbons strung between two trees that overlooked the lake. 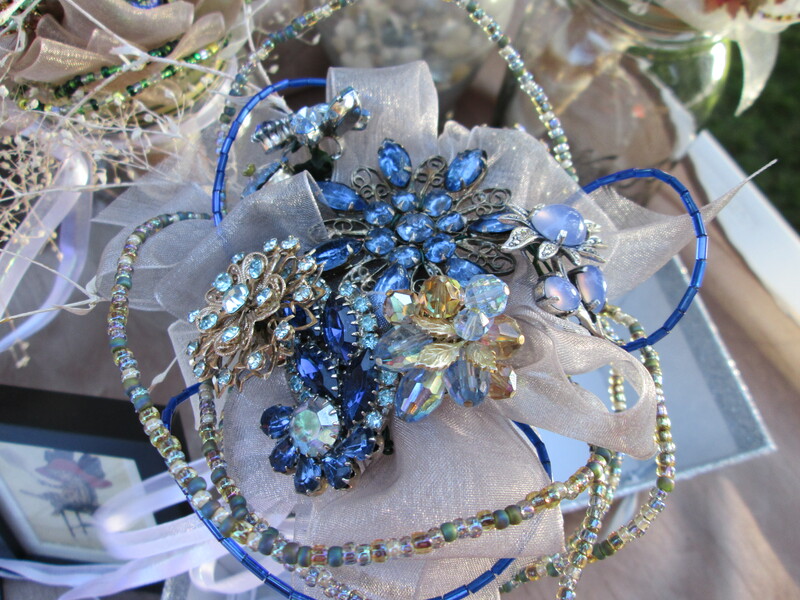 A breeze picked up about the time the ceremony began which made the ribbons blow and looked very pretty. 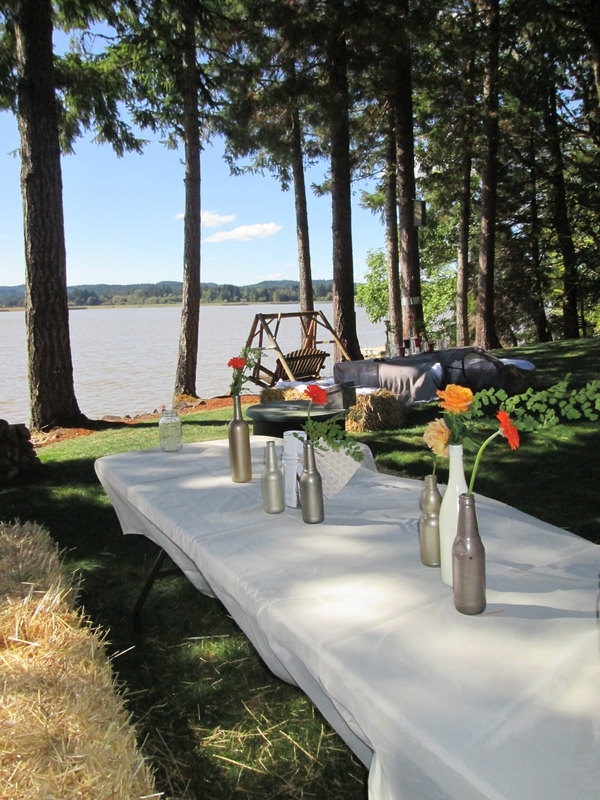 The reception had long feasting tables with hay bale seating. 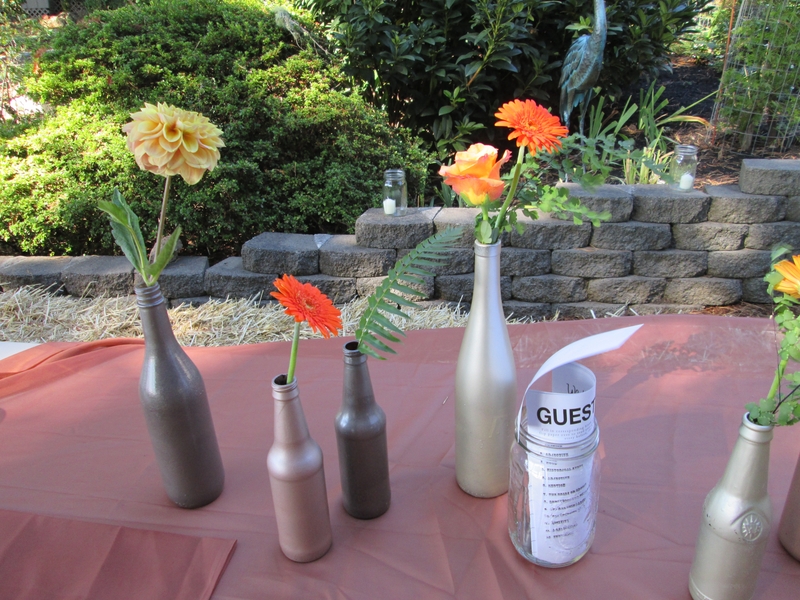 The bride and groom had painted beer and liquor bottles in shades of silver, gold, taupe and brown and each held 1 or 2 blossoms of orange flowers and ferns. 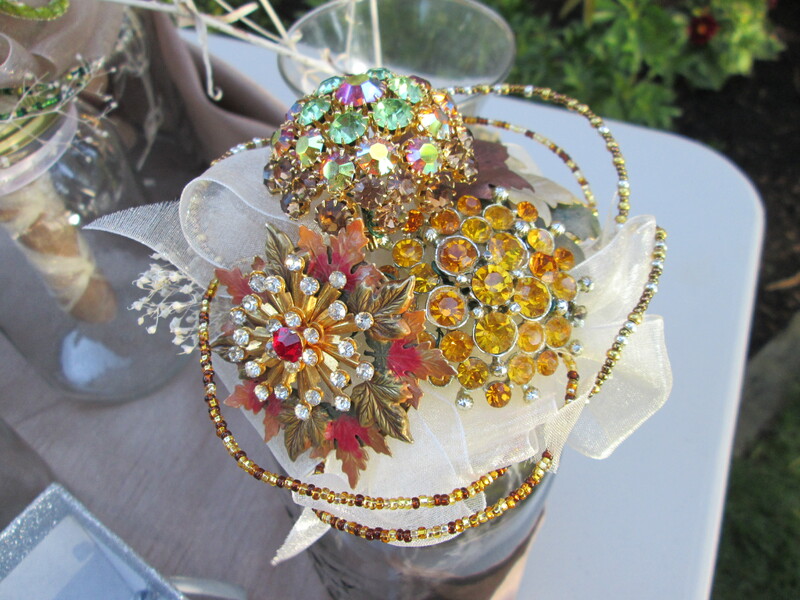 The color scheme was really important to them because the bride’s family had been heavily affected by cancer so they chose the orange to represent leukemia. 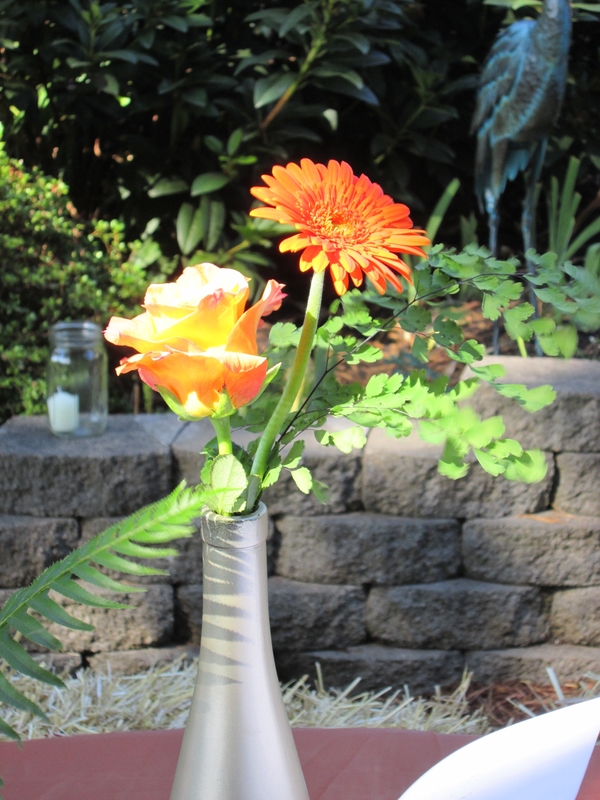 Mini gerbera daisies, “Blah Blah Blah” dahlias, “Flame” mini calla lilies, “Peach Peony” garden roses, orange spray roses, and local maidenhair fern and sword fern were used for the ceremony and reception flowers. 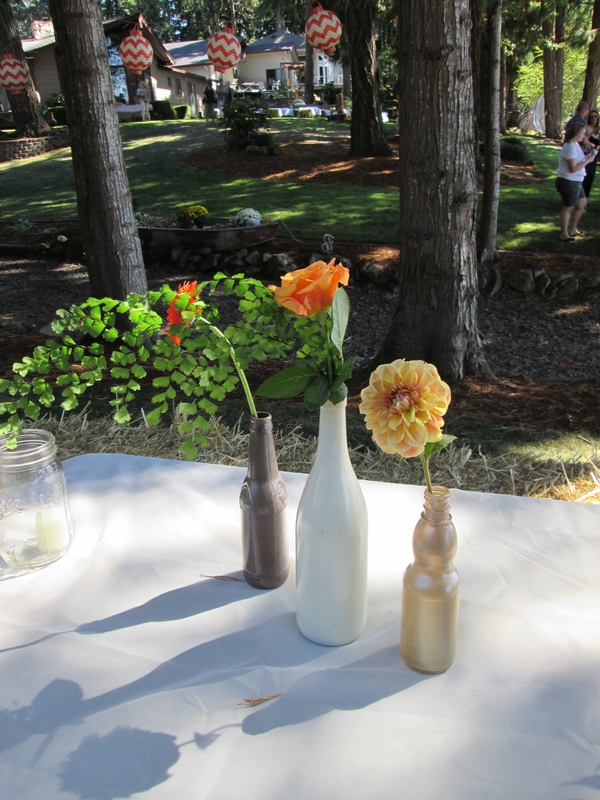 It was a pleasure to decorate the area with flowers and attend the wedding. The bride and groom had gone up to Alaska a few weeks before and caught their own salmon that they served for dinner which was delicious! Justin left most of the wedding decisions up to Jennifer- his only caveat was that he got to choose what he wore. 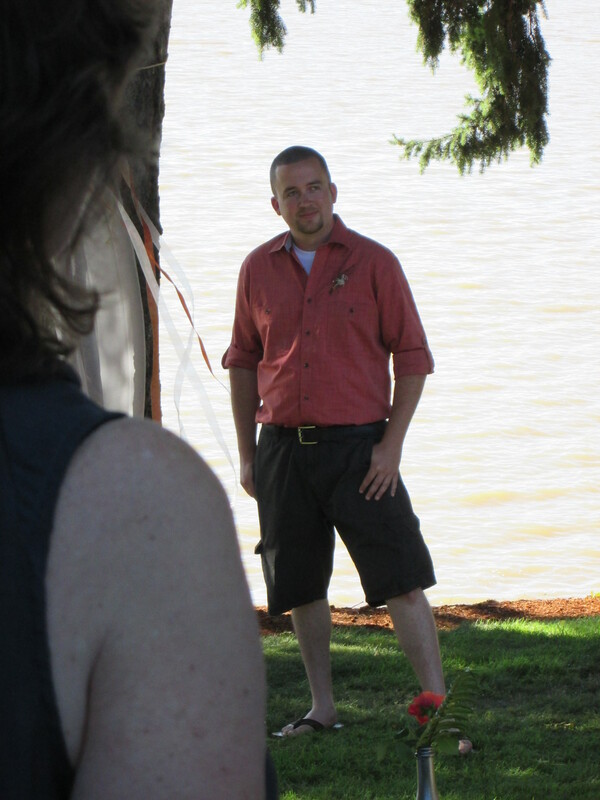 So…the groom and groomsmen kept it comfy and casual in shorts and button-up shirts. 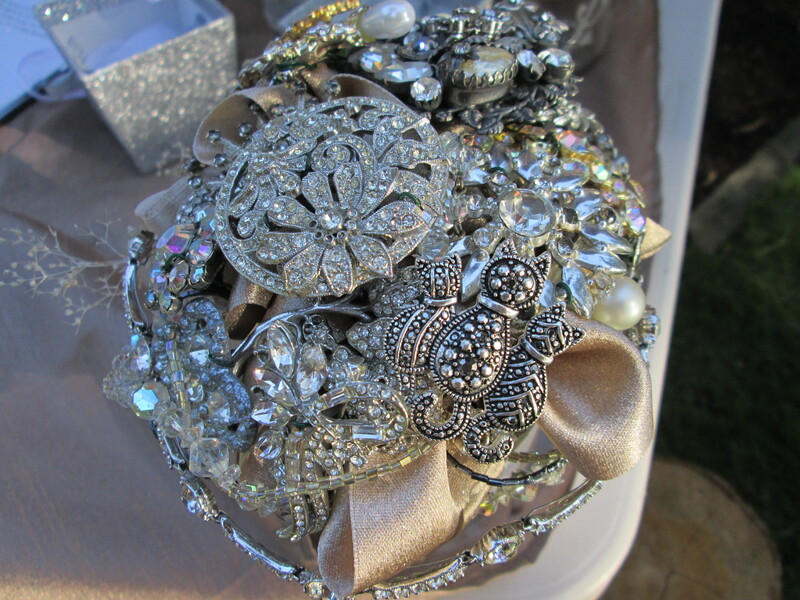 The bride and bridesmaids all carried brooch bouquets that glittered and shone against the rustic backdrop. Congratulations, again, Justin and Jennifer!